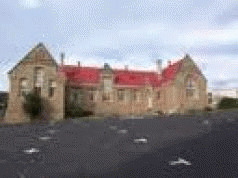 The South Hobart Progress Association Inc. (SHPA Inc.) has, today, lodged a non-conforming tender with the State Government for the purchase of 408 Macquarie Street, South Hobart – the former 1895 Macquarie Street State School, which, until recently, was the South Hobart Adult Education Centre. “Despite repeated efforts, over two years, to gain the ear of the relevant Minister of Education to discuss constructive ways in which the old School could remain in public hands”, said Mr. Halse Rogers, “the Progress Association has become more and more frustrated and saddened at the State Government’s total lack of involvement with the community.” “It is outrageous that our democratically elected representatives show voters such disdain”, he said. “The State Government has put the former Macquarie Street State School out to tenders recently. The Association decided to take the bold step of lodging a non-conforming tender for the site, which states that the Government could save, over coming years, the recurrent annual costs of providing accommodation funds to not-for-profit organisations, who would use the Centre. Under the proposal the Government would retain the monies normally provided to the NFP associations for lease costs on a recurrent basis and the NFP organisatons would only be liable for maintenance and outgoings”. He said that: “it would be a win-win situation for all, as the State Government would have its sale and the community would retain ownership of this community asset”. “As an act of good faith, the SHPA Inc. has lodged a dollar coin with its tender documents in lieu of the 1% deposit fee”. Good luck in this venture, but I wouldn’t hold my breath with the state gov’t. They want cash and they really don’t give a stuff how they get it. I think they are saving public money for an upcoming election. Nothing this mob do would surprise me any more, they are obviously only looking after themselves and their mates to our detriment. Mind you, I don’t think we have any party here who is not self serving. The old Macquarie St School would be among one of the most desirable sites to develop inner city housing. I doubt very much if the site could be saved for public usage. SHPA Inc. could focus on the building itself as I can assure you the grounds and car park will be developed.